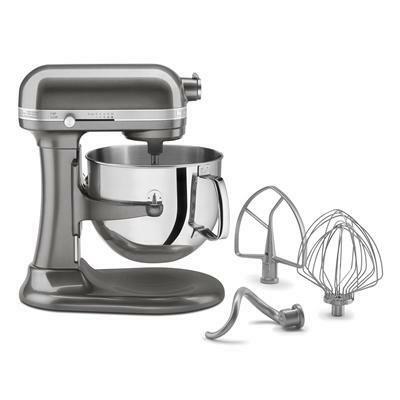 KitchenAid® 23.9 Cu. 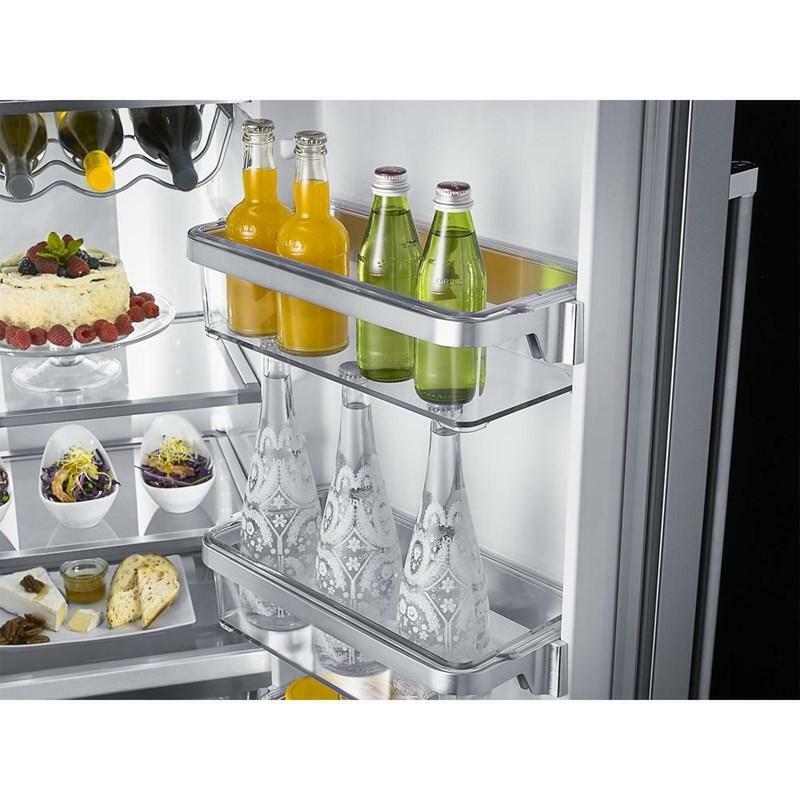 Ft. capacity counter depth side-by-side refrigerator with exterior ice and water dispenser. 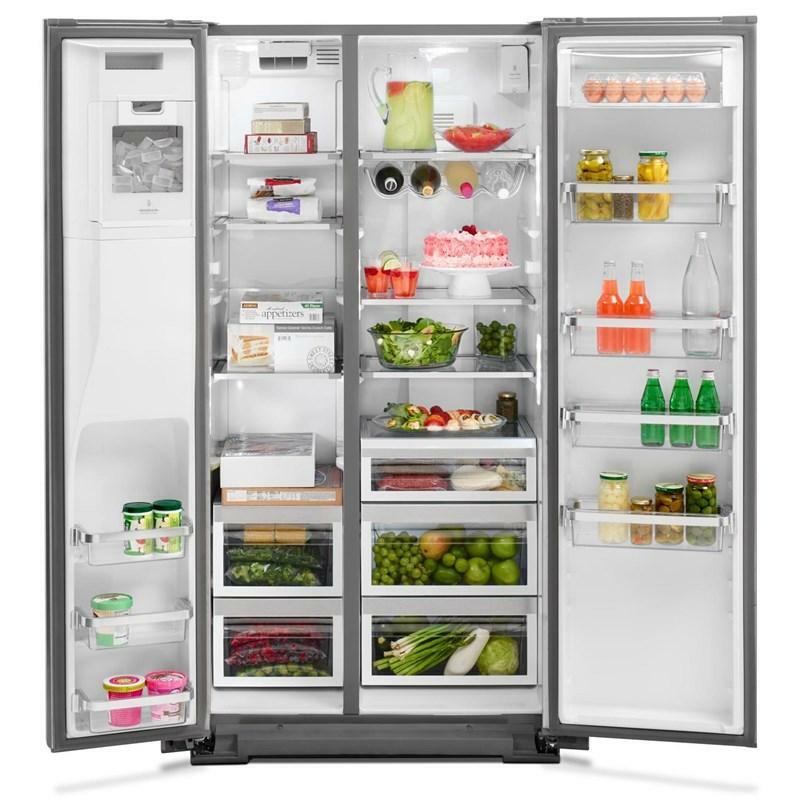 It features the Preserva® food care system which uses two independent cooling systems to provide a dedicated refrigeration unit to help keep food fresh longer, and a separate system for frozen food. This refrigerator also offers the FreshFlow™ Air Filter which helps minimize odors while the FreshFlow™ Produce Preserver helps delay over-ripening. Displays and automatically dispenses water in ounces, cups, or liters. It can be programed to pour a measured amount, helping make food prep easier. It can even be set up to fill essential items on a daily basis like a coffee pot or a water bottle. Total 22.6 cu. ft. / 0.64 cu. 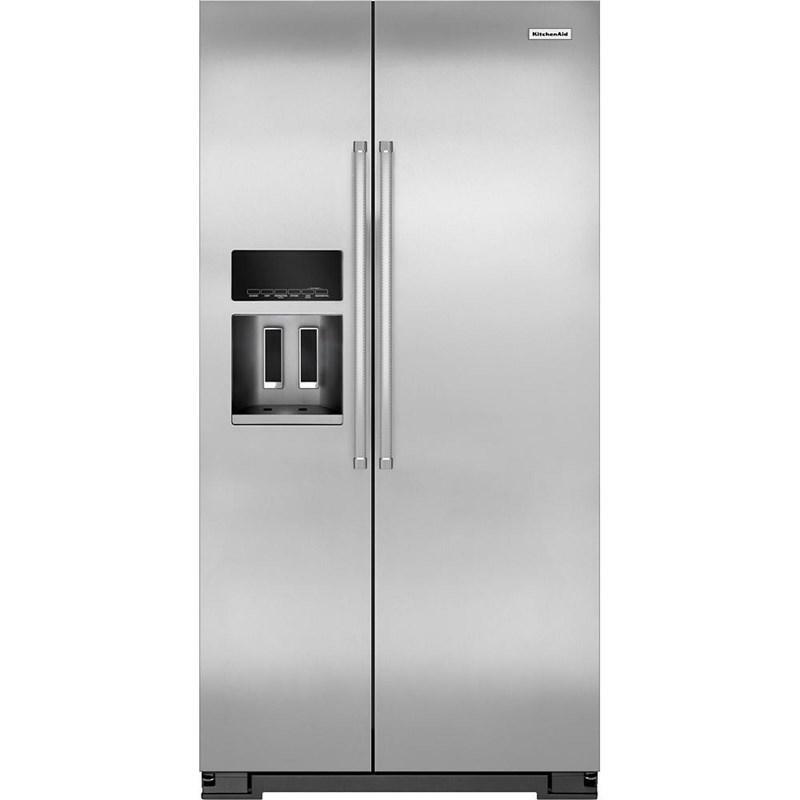 m.
Refrigerator 13.65 cu. ft. / 0.39 cu. 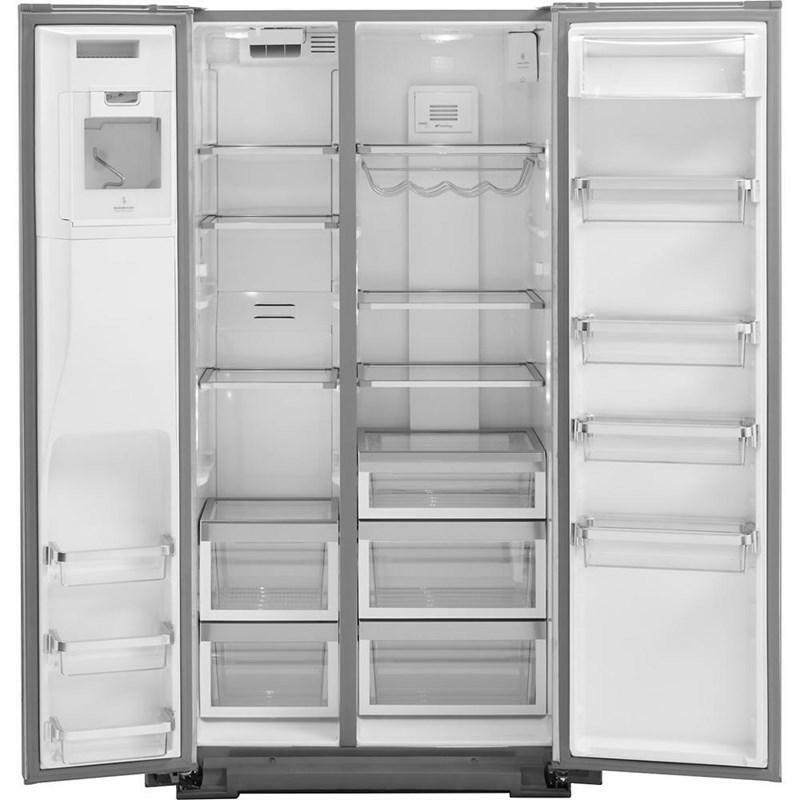 m.
Freezer 9.00 cu. ft. / 0.25 cu. m.
Additional Dimensions • Height To Top Of Cabinet : 71"
• Depth with Door Open 90 Degrees : 45 7/8"
• Depth Excluding Doors : 24 3/16"
• Depth Closed Excluding Handles : 27 1/2"
• Width with Doors Closed : 35 3/4"
KitchenAid® 7-Quart bowl lift stand mixer features Flour Power™ Index (16 cups, 3.8l), 11-wire whip, dough hook, all-metal construction and commercial style handle.